As a kid I had kind of a funny, small life. I mostly stayed at home. I’m not complaining; I’m just saying that all I really knew firsthand was my own suburban backyard, with its trampoline and beds of marigolds and roses. I knew the driveway and the swing set and the clothesline. But that was really all. I was fascinated by the idea of “the country,” but I had hardly ever seen a truly rural area with my own eyes. 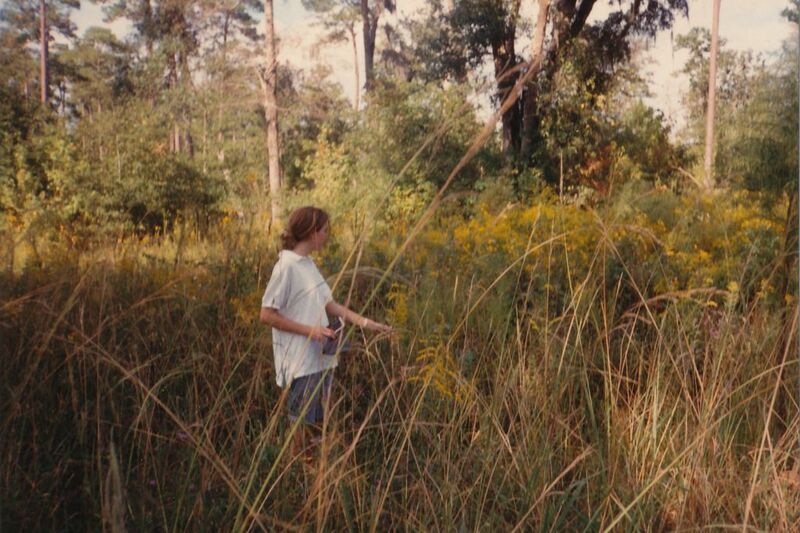 That changed when I was 15 and Luna Plantation, a private quail-hunting preserve just north of Tallahassee, began to be sold off in small parcels and my dad bought one. After that, we would often drive up Thomasville Road, away from the city, into the Red Hills, to visit our beloved acre and take long walks in the surrounding woods. “Sold” signs were everywhere, but hardly any houses had been built yet, so for a little while, a few precious years, we got to experience the land in its pure, pristine form. I can remember the drive to Luna, how beautiful it was back then. We’d pass woods and fields and ponds. Dirt roads. Horses. Barns. 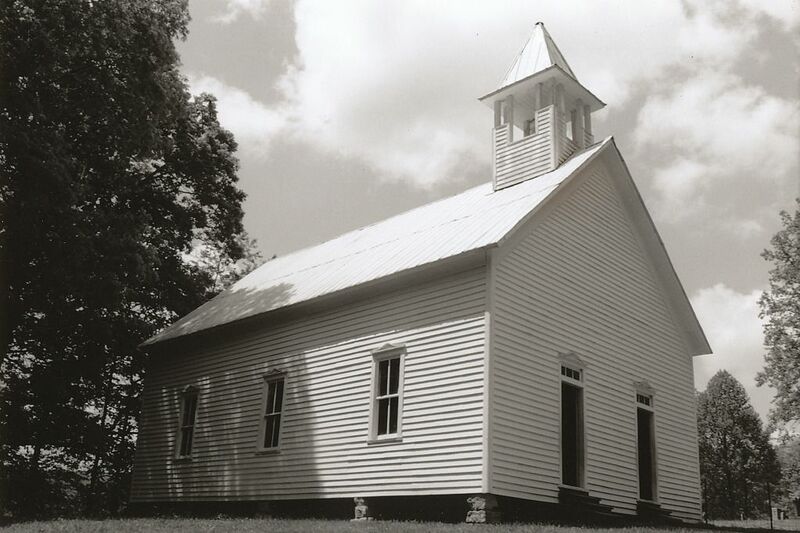 But my favorite sights were the churches, the white country churches, so simple and beautiful, so clean. To me, they were holiness given a material form, the best earthly expression of godliness. Oh, the ride to the pure woods, to Luna! I’d be so excited as we got closer and closer. I remember looking out the car window, seeing golden pastures . . . and ruins, brick ruins, the remains of a house. . . . Its roof was the sky. In fall Bull Headly Road was fringed with goldenrod, and there were yellow butterflies in profusion. I’d never before been so delighted by a place. On our walks I got to see things that I’d only read and dreamed about: clean, mature woods full of massive oaks and hickories, great, park-like stands of pine. . . . The only woods I had known before had been the little scrap behind our house, a damaged place overrun by invasive species. Our family would take walks at Luna, like I said, and try to identify the trees and flowers. We’d gather hickory nuts and look for animal tracks. We’d pick bouquets. On cool fall mornings we’d stand at the edge of Lake Iamonia and watch the mist rise up off the water. 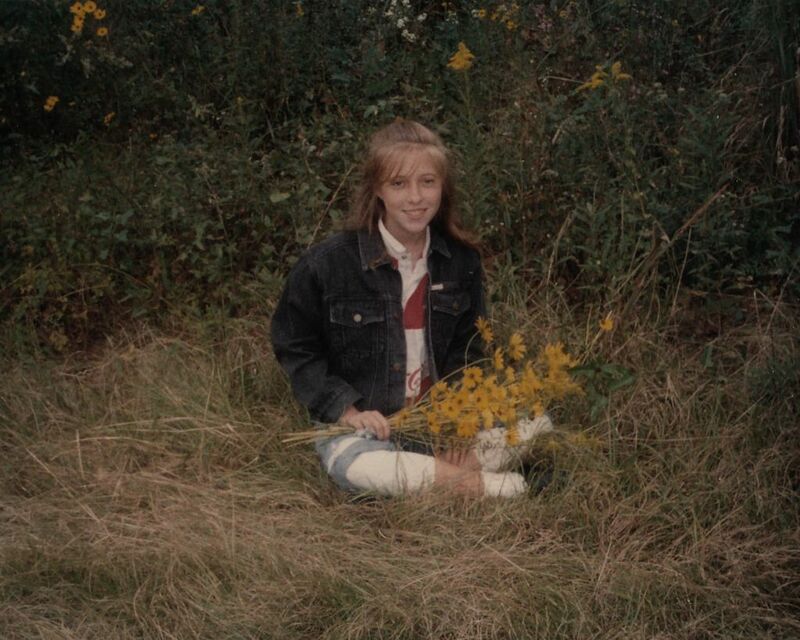 Me, picking fall flowers at Luna, 1990. Why am I wearing that gigantic shirt? There were the biggest live oaks at Luna, all draped with moss. We had a particularly fine one on our own personal acre. It looked like a castle, and I can remember my father trying to guess its age. 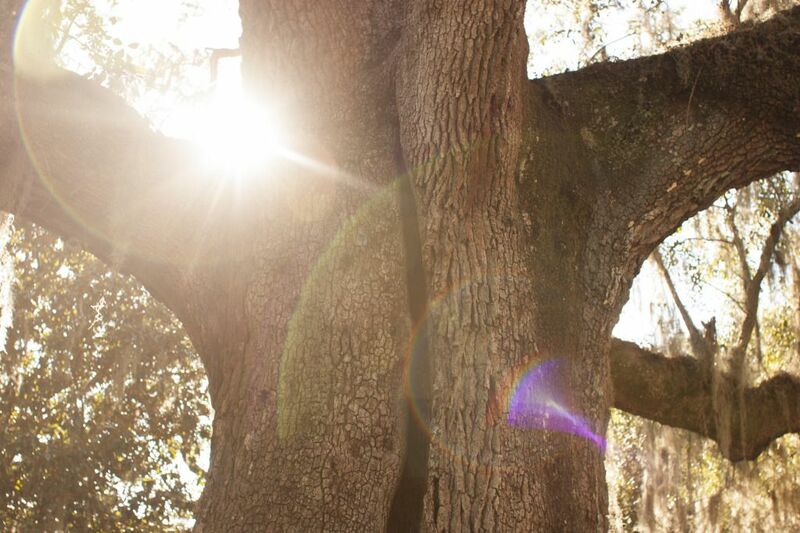 Of all the trees in the world, the live oak is my favorite. 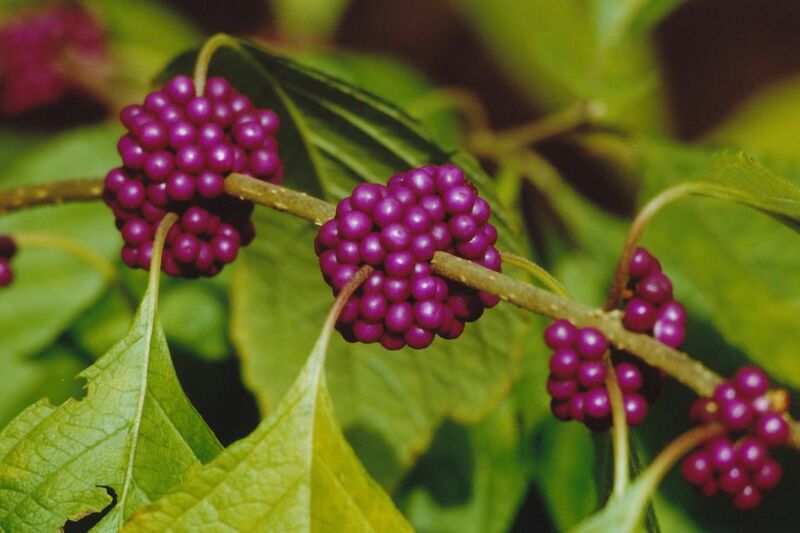 Among the live oaks grew American hollies, and in the late fall and winter they’d be loaded with showy red berries. Their bark was nearly white. In those days I was a great fan of Truman Capote’s “A Christmas Memory,” and seeing the wild hollies gave me a better understanding of the story. It gave me insight. You see, I had always loved, in particular, the part when the little boy and his old cousin go out hunting Christmas decorations, when they fill their tattered baby buggy with bright berries and greenery, fill it to overflowing. But I had never been able to really conceive of such bounty in nature. It wasn’t there in our poor beleaguered scrap of woods, behind our house. But now, seeing Luna, I knew the kind of place where you might find free Christmas decorations. I finally knew what Truman Capote was talking about: nature more or less intact. 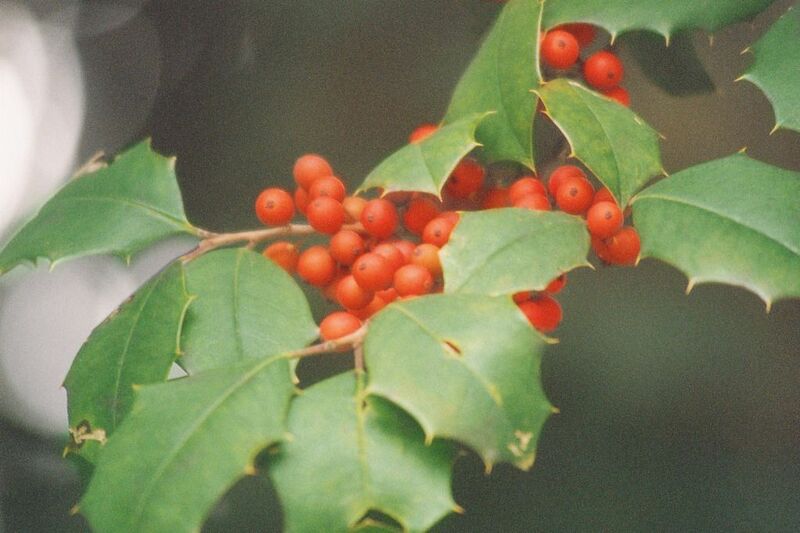 American holly. 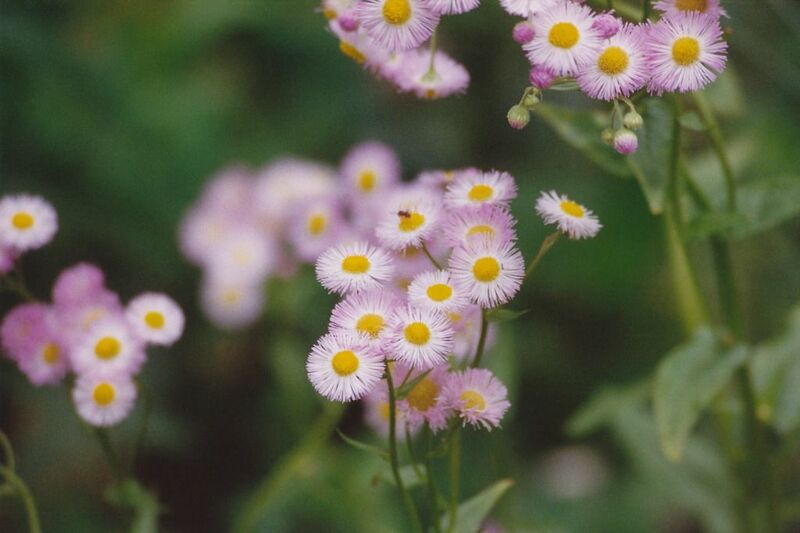 I like that the spikes on its leaves are kind of gentle. A few years ago I went back to Luna Plantation and found it almost unrecognizable. The woods are gone. So are the fields. Now it’s just another subdivision. Thank you for sharing these lovely childhood memories of Luna. I felt like I was right there with you enjoying the woods and all their beauty. How awful that Luna Plantation turned into another subdivision. Thanks, Lorraine. You are such a kind reader. It's definitely been hard watching Tallahassee change the way it has, to see the development so out of control. We've lost too many beautiful places.